Any high powered project is going to benefit from it;s own transformer, but, once you start looking, there are countless options that can change what transformer will suit your needs best. Here are a few tips to help you find the best fit. The voltage needs of individual projects are going to vary based on what machines are being powered by this transformer. A transformer will have both an input and output voltage; be sure to check both of these before making a purchase. Mismatching voltages with what is needed can be unwise and unsafe. Transformers generally come in two varieties; single and three phase. Single phase transformers are primarily used for small appliances, such as kitchen blenders. 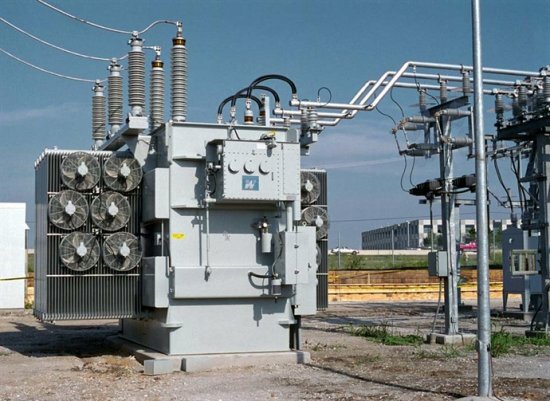 Three phase transformers are more commonly used in large industry and some businesses. The frequency of a transformer is usually based on your power supply, and the input and output frequencies tend to match. The output frequency can be changed using a frequency converter attached to the output of the transformer. This is mainly used when trying to power international appliances. For example, U.S. appliances are usually 60hz whereas U.K. appliances are commonly 50 Hz. The max load of a transformer is going to vary based on the kVa rating of the device. Typically, this is calculated based on the primary winding voltage and current (amperage) values. This can also be derived from the secondary values of these factors. The maximum load is a critical feature to consider when buying a new transformer. As mentioned earlier transformers vary from task to task. K factor transformers will focus largely on heat reduction, but isolation transformers specialize in powering a device while keeping it separate from the main power supply. These are just two types of transformers that are specialized towards tasks, but there are dozens of possibilities. Knowing what kind of environment the transformer will be used in can be make or break when it comes to purchasing the right product. Outdoor transformers have different construction from indoor ones. Humidity, temperature, precipitation, and even wind speed should be considered before acquiring an outdoor transformer. A business in Seattle is going to have drastically different needs from one in Sydney. Transformers being used in hazardous workplaces often have to meet certain safety guidelines that may not apply to all transformers. Check the safety policy of your workplace to know which specific standards to look for. Transformers tend to come in specific standardized sizes based on their strength; however, some can be built for more compactness. This tends to be done primarily on submarines and other marine vessels where space can be very tight. In other workplaces it is not recommended to try conserve space around a transformer. This can be a major safety hazard. Transformers will have to comply to standards before being used in any job site, but each workplace has different safety requirements. Outdoor transformers tend to be safer, but are often not certified in the same ways as indoor ones. It is possible to see a transformer that is up to par for what your needs are but is unsuited because it lacks a the seal of your safety organization. Transformers can have their wiring arranged in different fashions to cover a variety of needs. This tends to happen mostly in three phase transformers; coming in star, delta, or interconnected star set ups. These wiring styles can be mixed and matched for further specialization with the primary and secondary connections. These set ups are star star. star delta, or delta delta. Each job is different, and each transformer needs to be specialized to fit that job. Things like the the the cooling methods, the impedance, and the efficiency of the transformer should all be factors once you have found a configuration that will suit your needs. The cooling methods a transformer needs tends to be based on the style of transformer purchased. For small transformers natural air cooling is often sufficient, but as the power ratings go up, the cooling methods become more intensive. Large transformers are often cooled with the use of circulating oil. All materials have a loss of electricity due to the resistance of the materials they are constructed from. Knowing the loss to expect from your transformer is one part of being able to properly implement it. Impedance is a far more complicated thing to compute, but in practice it applies the same loss of expected power to AC circuits. Knowing the impedance and efficiency of a transformer help you ensure that you won’t accidentally under power your appliances.